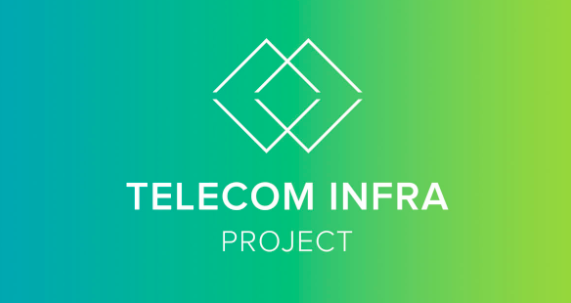 An organization founded February 2016, TIP is an open sourced, engineering-focused initiative headed by Facebook and driven by operators, suppliers, developers, integrators and startups to rethink how traditional telecom network infrastructure is designed and deployed, and drive the development of next-generation open components. With telecom infrastructure serving as the backbone of our information society and taking into account the huge amount of people and devices connected to the web, today’s telecom infrastructure cannot manage the large volume of photos, videos and updates that occur every day. TIP was launched to address this problem, by bringing together the telecom community, with the primary goal of creating flexible technologies that networks can use both now and in the future. TIP will initially separate the hardware and software components of network architecture, with the goal of increasing efficiency and designing new solutions. From there TIP plans to focus on three areas: access, backhaul and core and management. Each of these network segments will have its own project groups working on it and these will leverage the engineering and operational expertise of each TIP member. Flexibility will be key in everything TIP does. The goal is to allow mobile network systems to evolve without having to start over (the opposite of what had to happen to roll out 5G). By making the infrastructure more flexible, it will be faster and more affordable to evolve and improve it for projects going forward. Naturally, as a telco company and builder of our own telco infrastructure, TIP caught our eye. Since telecom is something we live and breathe, we are quite familiar with its challenges and jumped for joy at the opportunity to work with the telecom community to speak about challenges and work towards making it better for everyone. Creating a scalable, efficient, and secure network is only the first step in providing communications to both rural and urban regions of the world. As many have proven, an open core platform can drive innovation and collaboration, while cutting out the massive capital expenses that most other solutions require. This approach was the the driving force of introducing KAZOO to the market. By providing a free, API driven platform to the open source community, users can develop a high tech, low cost platform; hosting services such as voice, video, and SMS. In this day and age, staying online is vital, so we must focus on forward thinking technologies that can adapt to changing infrastructures. Even though telecom has managed to operate successfully for years, with systems moving toward the cloud and cutting edge technologies entering the market, infrastructure styles from 50 years ago, may not be prevalent 50 years down the road. With growing populations, and expanding rural areas, ease of deployment must be top of mind. In established, high growth areas enhancement of current infrastructure must be done to account for growing population in denser areas. All of this must be at an attainable price, since the necessity levels are extremely high, and lack of funds would inhibit regions from growing and staying connected. Our end goal is to ensure basic communication methods are open and available to/for anyone to use. By opening up the telecommunications industry, we can help one another evolve how we communicate across the globe. If you’re interested in learning more about the benefits and flexibility of open source communications, and want to understand the endless capabilities of platforms such as KAZOO, learn more here. If you are interested in learning more about TIP and how companies are working together to create a true unified communications network begin here. Some great TIP focus groups to reference include: Access, Backhaul, and Core and Management.